NEW YORK, April 18, 2017 /3BL Media/ – The Major League Baseball Players Association (MLBPA) today announced that it will make the bridge from players to fans even shorter to cross, by debuting the new Infield Chatter mobile social community. The first-of-its-kind platform seeks to become the dedicated mobile destination for players and their passionate fans, with more than 1,000 players already on board as registered users. Infield Chatter was created at the request of the players themselves. They were looking for a more meaningful way to directly connect with their fans – in the fun and entertaining environment that baseball players have always fostered. Major leaguers, who come from around the world – with differing interests, perspectives and insights – will now be able to engage with fans on any number of subjects – about baseball or not, all from the palm of their hand. 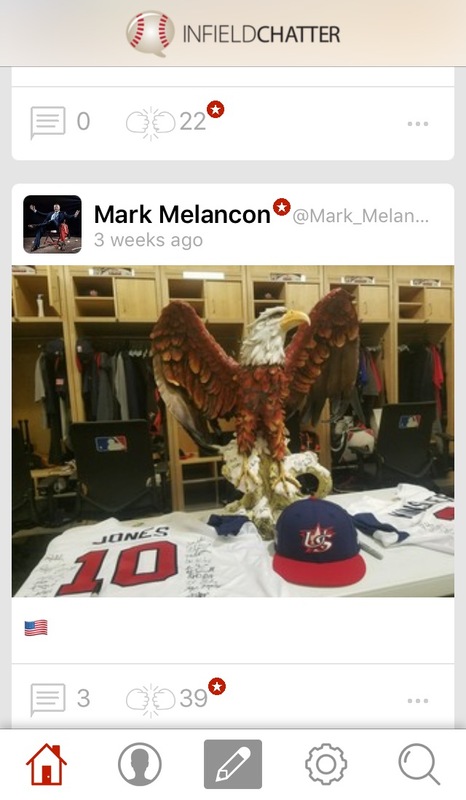 On a daily basis, players will share unique and vibrant content to their Infield Chatter accounts, including behind-the-scenes photos and videos that offer fans a more in-depth perspective of the players they cheer for 162 games a year. Players will share snippets of who they are away from the ballparks, taking fans inside their everyday lives by sharing interests, hobbies, and personal stories. “They made it more than just a place to post pictures and videos. I can go on Infield Chatter and talk about music and travel or anything on my mind. It’s great to talk to fans in different ways – and feel like I’m in control of what I want to share,” said St. Louis Cardinals All-Star Yadier Molina. To help the players enhance the Infield Chatter user-experience, the MLBPA has put together an external partnership team of social media experts and technology leaders who recognize the importance in the platform and its role in the future of social media. Infield Chatter is hosted on the Honeycommb mobile platform, with tools and features unavailable on the most common social channels. Honeycommb also serves as host to Little Monsters, the official social community for global pop star and Honeycommb partner Lady Gaga. 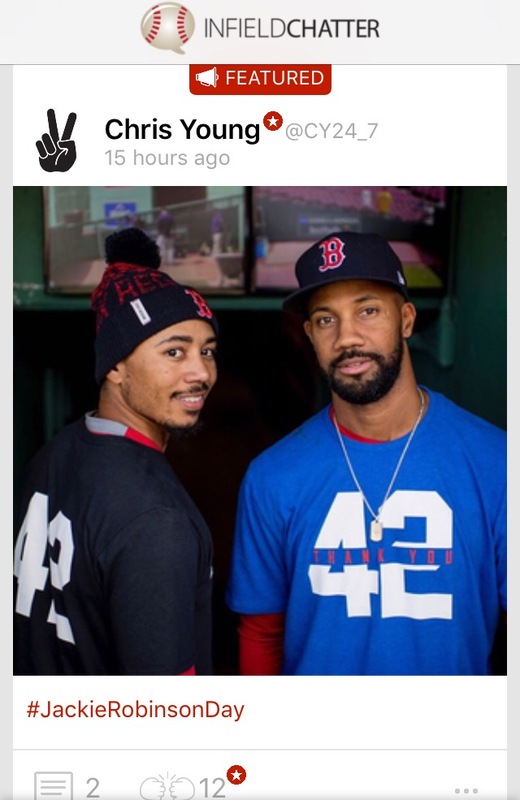 Compelling athlete-driven content is the cornerstone of the new MLBPA mobile social community. Lineage Interactive, a leading digital content production company that collaborates with top athletes, musicians and major brands to develop their online identities, will serve as Infield Chatter’s content partner. 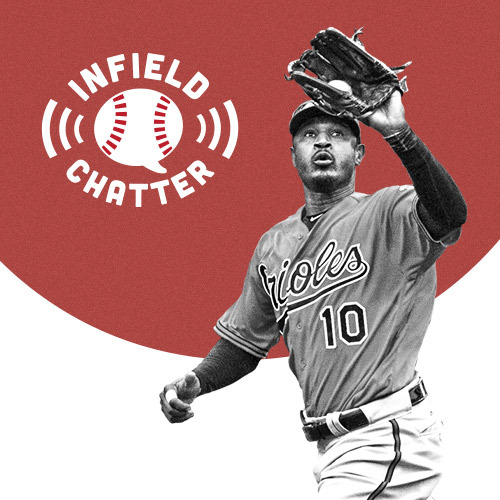 Now available for download through the Apple App Store and Google Play, Infield Chatter is quickly becoming the talk of the 2017 season. The Major League Baseball Players Association (www.MLBPLAYERS.com) is the collective bargaining representatives for all professional baseball players of the 30 major-league baseball teams and serves as the exclusive group licensing agent for commercial and licensing activities involving active Major League Baseball players. On behalf of its members, it operates the Players Choice licensing program and Players Choice Awards, as well as the Major League Baseball Players Trust (www.PlayersTrust.org), a charitable foundation benefitting the needy that was established and is run entirely by Major League Baseball players. Follow: @MLB_Players; @MLBPlayersTrust; @MLBPAClubhouse. Honeycommb Inc. is an integrated social platform for interest-based influencers and organizations. The platform enables those who have social scale and create the most engaging content to take ownership and control of their social identity. The company gives fans and followers a richer and more meaningful experience without the noise of aggregated platforms such as Facebook, Twitter, and Instagram. Lineage Interactive has specialized in brand management, social media strategy, and content production since 2008. Lineage services a roster of over 80 clients, including sports franchises, all-star athletes, record labels, Grammy Award-winning musicians, and Fortune 200 companies.